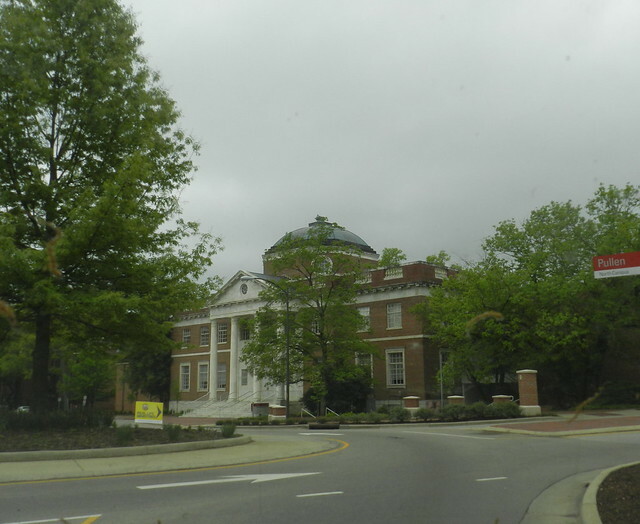 I took the first shot from the car as we cut through NCSU to get to the WRAL Azalea Garden. 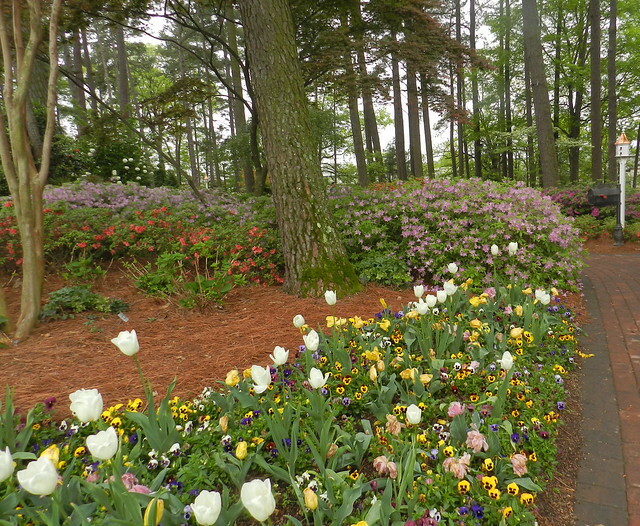 The morning was overcast but the storms weren't forecast until early afternoon so we took a chance on a garden walk. We have had a spectacular spring. In some ways having a relatively cold winter without many intermittent warmer days like we have some winters, helped with spring. 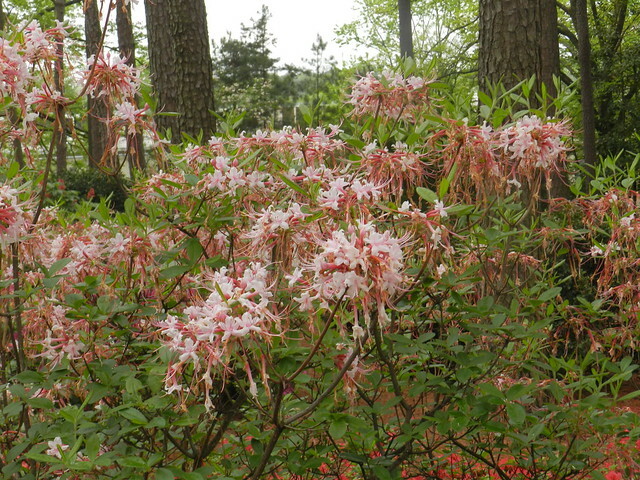 One problem we can have is when flowers get going too early and are zapped by cold snaps. 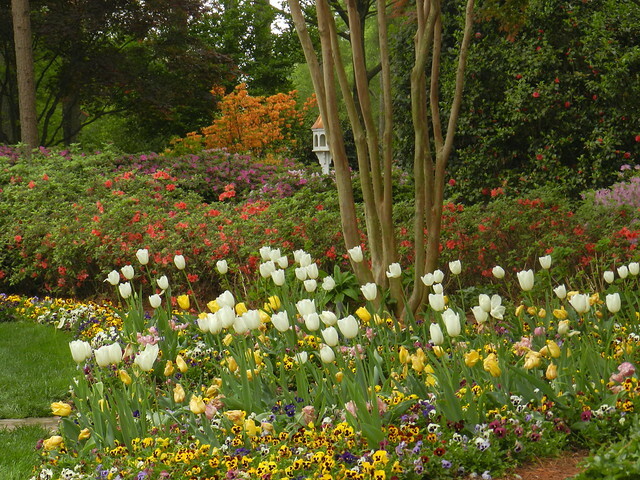 This year most of the early flowers waited until spring to start blooming and so far April has had moderate temperatures. We've had very few days where it has started to be hot and some nights have been chilly but it has been a while since we've had a hard freeze. At this point we are almost past the average last frost date for central NC and I'm optimistic that we will not have any periods cold enough to damage flowers. 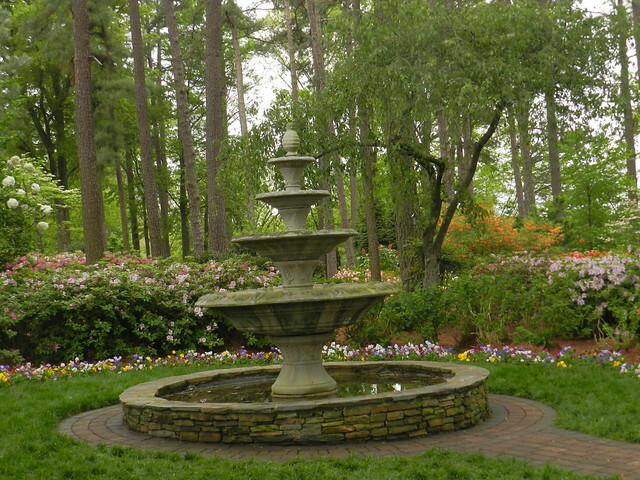 * The information about the azalea garden above was taken from the WRAL garden history site located here. 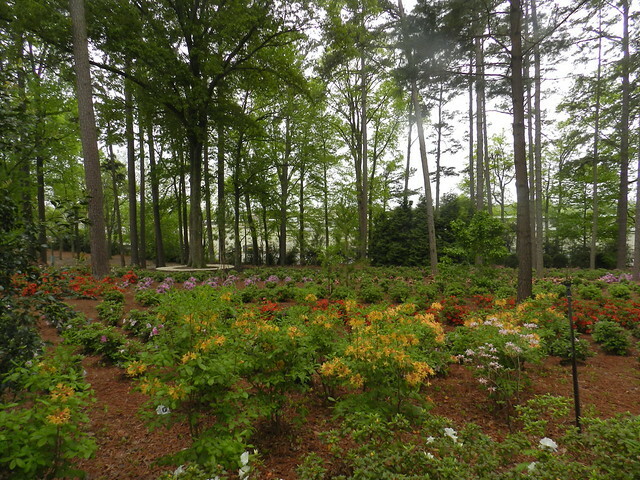 Last year when we visited the garden many of the azaleas were past their peak bloom period. 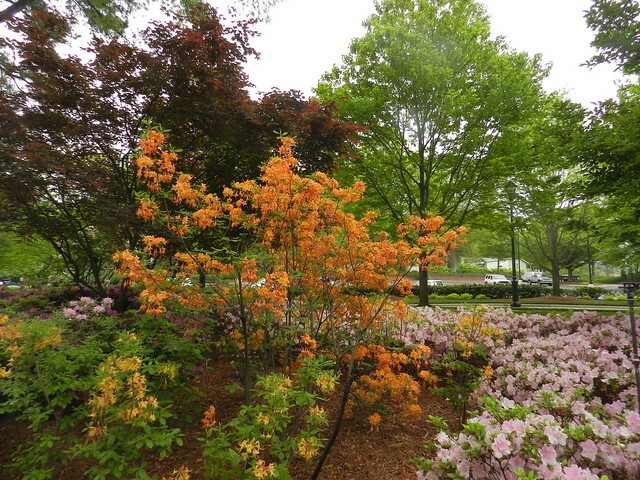 This year we hit it at a great time to see the blooms. It must be nice for the people who work at the studio to be able to take breaks in the garden. I know that I like having a garden close to where I work. Stunning gardens. I like it when people give back to their community and this fellow certainly did that. 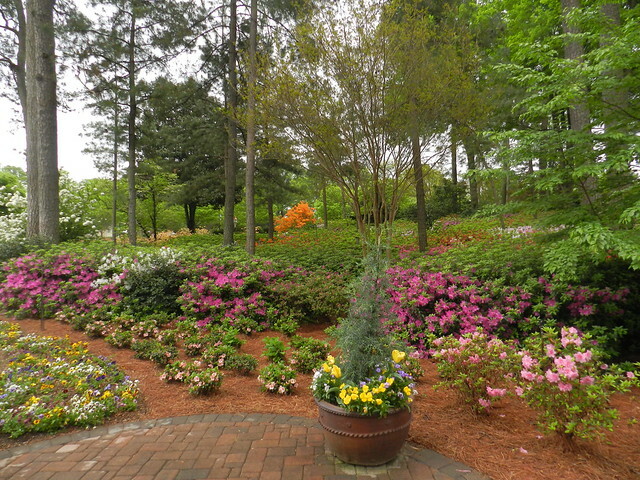 Love the azaleas, especially that flame colored one , and all the Spring flowers. 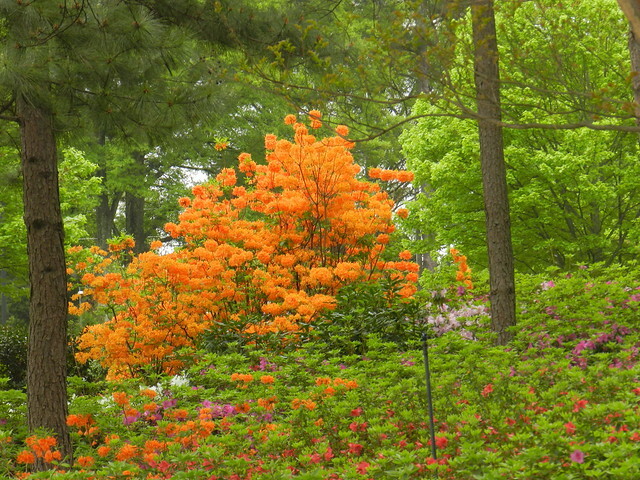 The tall orange azaleas are my favorite. How nice to see these flowers boarding a forested area thanks to the kindness of one man willing to share his love of beauty. 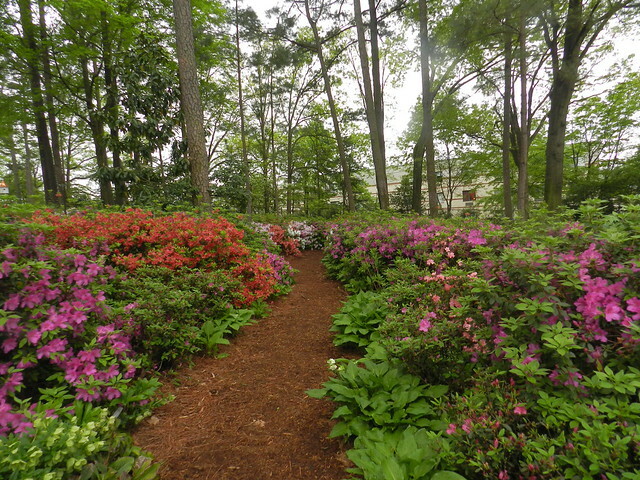 What an amazing walk seeing all this beauty...I wish I could grow azaleas. I would love to visit here. 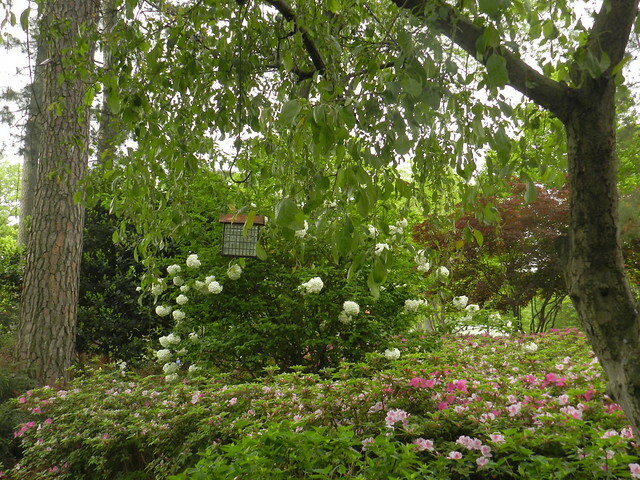 The azalea garden is wonderful. 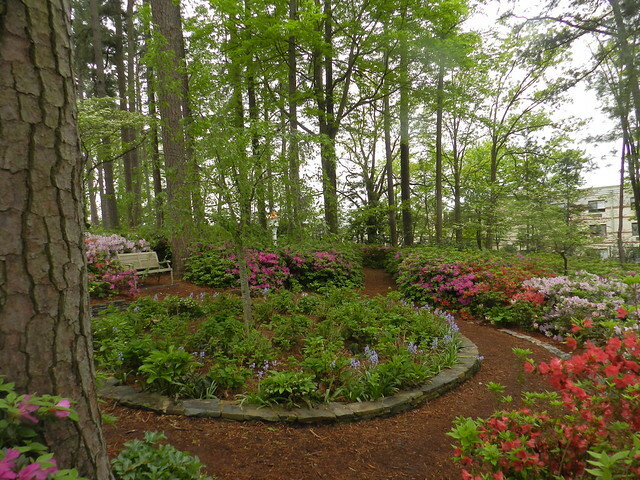 Reminds me of the rhododendron garden at Mendocino Gardens. Looks like a colorful place to visit! Must be wonderful to see all those flowers in bloom. Such a lovely explosion of flowers! What a lovely garden to walk and photograph ~ Creative and colorful shots! Super views of a beautiful garden. Wow that is indeed a very stunning garden. I would love to stay there for many days and take the macro shots too, you are so lucky to visit that. Such a lovely place! I wonder how the flowers are all blooming in spite of the shade! Great captures! A joy to see such blooming flowers! 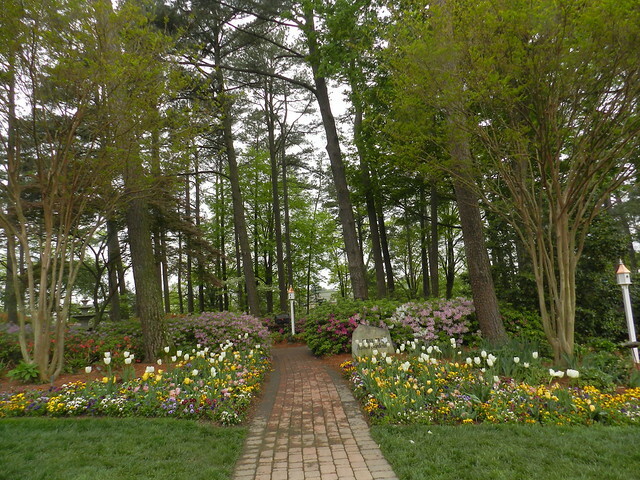 What a beautiful place to walk in ! I see spring has moved into your country too ! 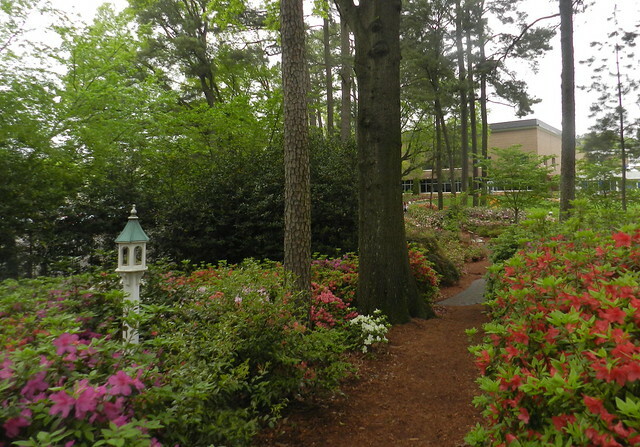 Hello Carver, beautiful images from your walk at the garden, the azaleas are beautiful, so many pretty colors. a gorgeous walk.. Have a happy week! So much beauty, everywhere you look!! I'd like to invite you to Hootin' Anni's to view a special post of nature's thrilling day for me. Oh those long-leaf pines make me homesick. 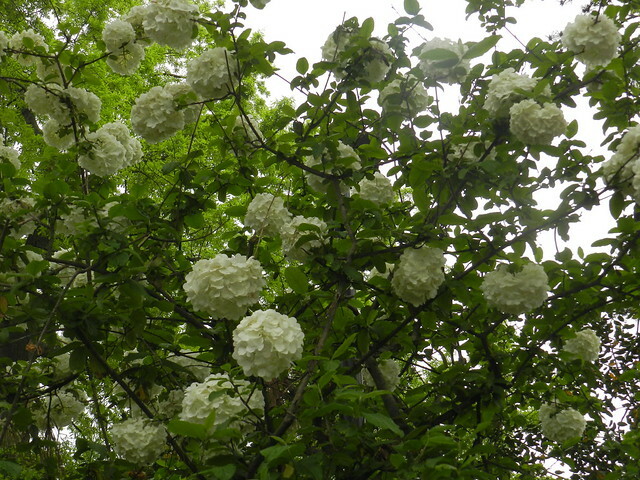 Hydrangeas around here suffered, but mine are ok (newer varieties). 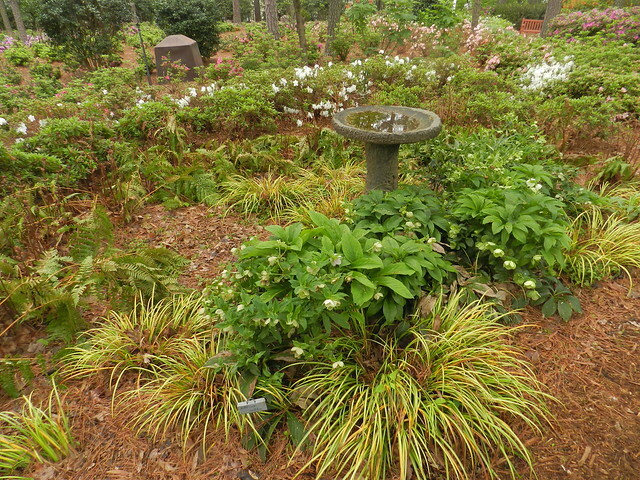 Love the Hellebore around the bird bath. How delightful. What a wonderful garden. 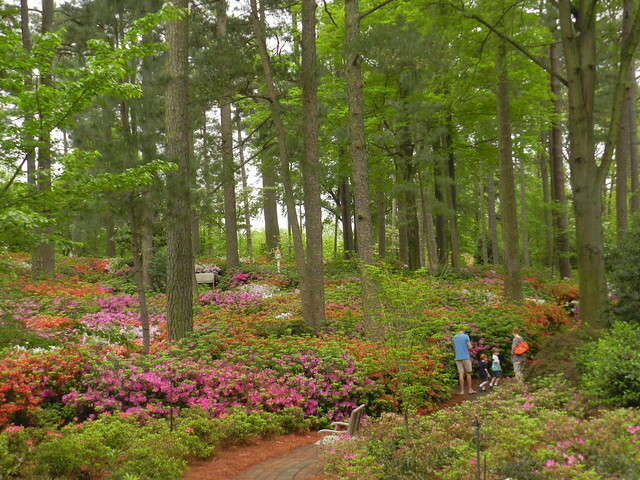 I've heard of the WRAL azalea garden - now you have me wanting to visit!